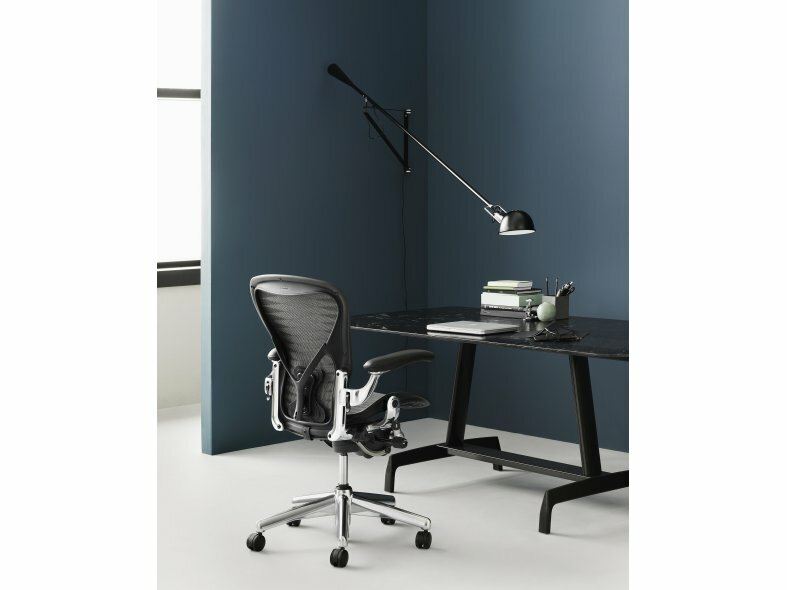 Aeron's functionality shows through, contributing to a distinctive look that invites you to sit and experience the chair for yourself. 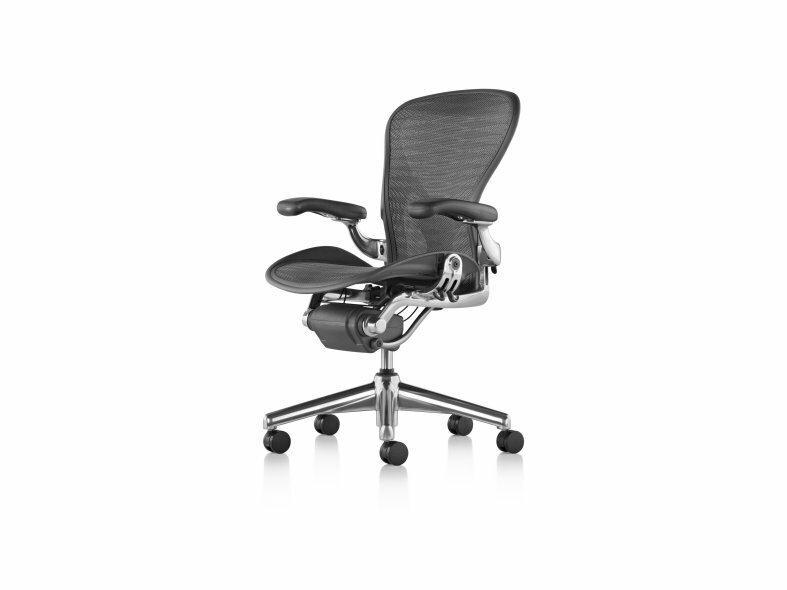 From the transparency of the Pellicle suspension material to the chair's curvilinear lines, Aeron was designed around people, with Bill Stumpf and Don Chadwick creating an aesthetic all their own. It's no wonder the chair was added to the permanent collection of the Museum of Modern Art™ even before the first one was sold. 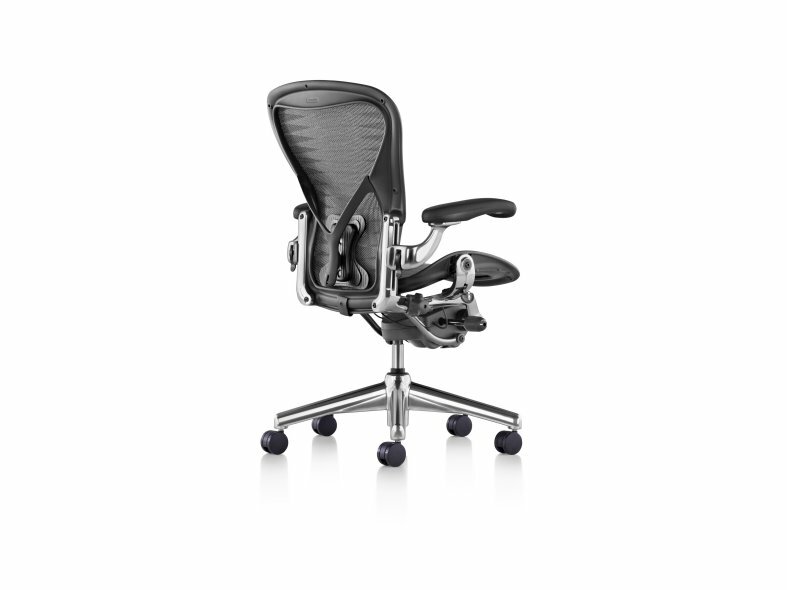 Every material, every mechanism on Aeron advances the art and science of seating. The Pellicle seat and back distribute your weight evenly, eliminating pressure points and heat build-up. The Kinemat® tilt allows you to recline fluidly, as your body pivots naturally at the hips, knees, and ankles. And PostureFit® puts support where you need it most whilst seated - at the base of your spine.